IPL this season has grown bigger and better with high bids and purchases. The Kings XI Punjab made their opening purchase of Rs. 1 Crore for Australian all-rounder Moises Henriques in the 2019 IPL. The team which is said to be the biggest bidder with Rs.36.2 crore pooling into the auction also got Nicholas Pooran, West Indies keeper-batsman, into the team for a sum of Rs.4.2 Crore. That is not all, Mohammed Shami, was bought for Rs. 4.8 Crore by Kings XI Punjab. On the other hand, Sam Curran became a part of the team after he was bought for Rs 7.2 crore. To top it all, their highest purchase as of now is Varun Chakravarthy, the Tamil Nadu spinner at a whopping Rs 8.4 crore. Prabhsimran was another major signing for KXIP. He was bought for a huge sum of Rs. 4.8 crore. The Punjab cricketer gained fame when India U-19 in his leadership won the Asia Cup in Bangladesh. He is also known for playing 298 runs against Amritsar in Under 23 District cricket tournament. Ahead of the IPL Auction 2019, KXIP released 11 players, including some famous names like Mohit Sharma, Aaron Finch, Axar Patel and Yuvraj Singh. They also traded Marcus Stoinis for Mandeep Singh to strengthen their batting front. The dates for IPL 2019 are likely to be in March 2019. The schedule has been planned to keep in mind the general elections and the ICC Cricket World Cup schedule, to be held in England from May 30 onwards. The process of completing the squads for all teams is officially over now and simultaneously the preparations for the Indian Premier League (IPL) season 2019 are in process. On Tuesday, the auction was organized to choose 70 players from the 351 enrolled players. It was very much evident that all the 8 IPL teams invested a great amount of their money in finalizing their particular squads. The event finally closed with the IPL teams investing around Rs 106.80 crore for 60 players. The auction is mostly organized at the end of January or the mid of February. But this time it was organized by the BCCI, a little sooner to allow the IPL teams enough time for preparations, before the beginning of the tournament. The next step is to decide whether to organize the tournament outside India. In the past, the IPL was organized in South Africa and in UAE (partially) due to the general elections. It is interesting to see how several players made it big. So we have the list of the complete squad of 8 IPL teams that will play in Vivo IPL 2019. Seeing the list of players it seems that the batting lineup seems to be in good form, especially the top and the upper middle order. KL Rahul and Chris Gayle are great players and if they keep up their performance like the previous season, they will be the backbone for the team. Mayank Agarwal, Mandeep Singh, David Miller and Karun Nair make an upright middle order. With Nicholas Pooran in the team now it will be rather beneficial as he will be the backup wicketkeeper, in case Gayle fails. Sarfaraz Khan will fill up to be the finisher and hence the squad has almost all the gaps filled this season. The spin department is still not clear as currently Mujeeb Ur Rahman and Varun Chakravarthy, the new sensation are the key names in this department. They can be the live savers in the tournament. Sam Curran will add up to the depth of batting and also strengthen the pace attack. Ankit Rajpoot, Andrew Tye, Curran and Mohammad Shami shall hold strong the attack front. The form of the main players, which abandoned them last season, is still a matter of concern. The captain, Ravichandran Ashwin, did not perform up to the expectations last year and though played well in the initial stages, he couldn’t hold up till the end. His captaincy and strategy development for the team will be some major factors in deciding the fortunes of the team. 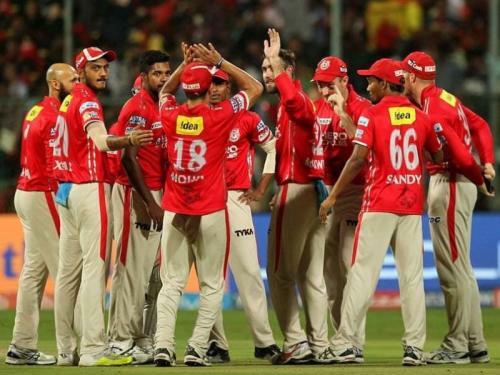 Kings XI Punjab (KXIP) gave a tough fight to its opponents last year to make it to the top but was unsuccessful despite some very famous and efficient players in their squad. The KXIP team last year lost seven out of the eight games they played. We hope this year they make it big as the auctions prove they have invested huge sums. They are yet to win their maiden IPL title.